I think I need a step program. Maybe I need to attend meeting for people with addictions. Maybe I am in need of an intervention. I might even need a watchdog to look over every move I make. You see…. I am addict. I am an addicted to Foursquare. Not the game played on asphalt that uses little squares and a big red playground ball. No. 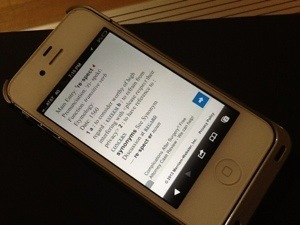 I’m talking about the app that you have on your mobile device. 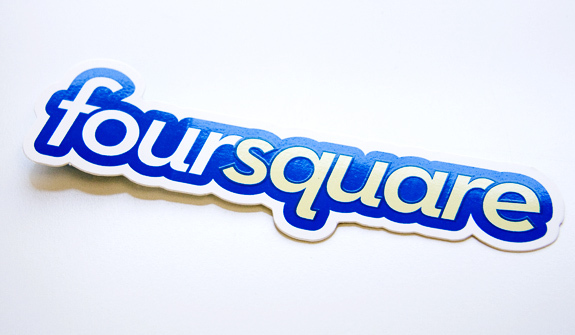 Foursquare is an app that allows you to “check in” to any type of venue, business, event, restaurant, attraction, museum, grassy meadow, pothole, or house on the planet. You get awarded points for checking in and then are pit against your social friends in a battle to see who is the busiest body in your circle. You can unlock badges, then different levels in the badges (example: I am a Level 5 Mexican food master) and then finally when you visit a place the most you become the mayor. I never thought about running for an office but obviously Foursquare thinks that I need to bring some sort of authority over to the Toy’s R Us near me. It started out as something innocent…doesn’t it always? I checked in to a few places and kinda got a cool sense of that I was out on the town and contributing to the social atmosphere with my awesome check in’s. My wife then got the app and we started checking in together. We got extra points for checking in at the same time, going into the same places, returning together at places. Then I noticed that other people had visited some of the same places I had. Then…I noticed that they…stole…my…mayorship from me. I would not stand for this. They thought this was a game and I was not playing around. I checked in everywhere I could. Night and day. I was getting obsessed. The more I checked in, the bigger the target got on my back. I was sick to my stomach at the thought of logging in and seeing how many red-numbered notifications I had of someone stealing a place from me, becoming mayor, or worse….a friend request of someone who undoubtedly would one day aspire to steal what I had won. Nothing is worse that to log in and see that your wife has stolen five mayorships in one trip to the mall. I am doing better now. I don’t have to check in to places in my house like the couch, the bed, or even the attic just so I can hold on to mayorships much anymore. When I see someone checking in to one of my places I just put my phone away and daydream about smashing their phone with a sledgehammer. My wife described something that happened the other evening, to me. My father-in-law had asked one of his grandchildren to do something for him. The grandson responded with “bite me.” Now, my brother-in-law and his wife were sitting there, but didn’t say anything. Evidently, they saw no problem with their son saying that to his grandfather. (They did say something to their son, later.) My wife Sue told my mother-in-law that if I had been there I would have corrected my nephew on the spot, even with his parents there. I had to stop and think about that and Sue was partly right, (don’t tell her I only said partly.) I would have said something, but it would have been directed towards my brother-in-law. A child not showing respect is a pet peeve of mine. I will not let my kids disrespect my wife, or our parents in any way. When they do, (It does happen because they’re teenagers.) I correct them and they will apologize for being disrespectful. They know if they cross that line, I will put them back behind it. Being funny is one thing, being disrespectful is another, and its my job as their dad to teach them the difference. Respect goes a long way in a marriage. Over the last few years sound has become more important than ever. Loud kids, barking dogs, a yelling wife (not really..okay sometimes)..ALL of these things make it hard to hear the real music sometimes because it’s hard to drown out the junk of our lives. I know that me and my daughter really like to use music to escape the worries of the world. So, we really have been on the lookout for a great set of headphones that can help us hear the soundtrack of our lives play out. And you can forget anything by any “Dr’s” because this is what you need for your sound solution. 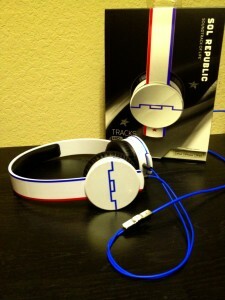 Enter SOL REPUBLIC. These are THE best sets of headphones I have ever had the privilege of using. SOL REPUBLIC is a global consumer electronics company dedicated to enhancing people’s lives through better-sounding headphones. Founded by consumer electronics veterans Kevin Lee, Scott Hix and Seth Combs who share a vision of ridding the world of hollow-sounding headphones and to make great sound attainable for everyone. SOL REPUBLIC is comprised of music fanatics who develop products from the ground up to make headphones that look, sound and feel unlike anything else in the market. More than just a headphone company, SOL REPUBLIC celebrates the people who make music, love music and are devoted to music. We are committed to creating a community where music fans, athletes and all dreamers are welcome to put a voice to their ideas, share their sound, and be heard. The ones that my ears fight over are the Tracks HD Anthem on-ear headphones and the HD Amps in-ear headphones in aluminum. My daughter got a pair of the Tracks HD on-Ear headphones in purple and said that she has been hearing parts in songs that she had never noticed before. Tracks HD are the first interchangeable headphones to deliver incredible sound, style and technology. Amps HD in-ear headphones are designed to deliver incredible sound, style and technology. Ear Tips For Life: Losing ear tips is easy. Now there’s finally a solution. We send you ear tips for life. No questions asked. Powerful Sound You Can Feel: Featuring i6 Sound Engines, Amps HD are fully loaded with deeper bass, higher clarity and crisp vocals so you can feel the full power of your music. Listen In Comfort: Including four sizes of ear tips,you’re sure to get a comfortable fit and perfect seal for hours of music bliss. Secure Fit: Using StayFit design, Amps are angled to fit perfectly in your ear instead of falling out. Wide-mouth pocket case: Our pocket case makes it easy to transport your Amps HD. If you are scrambling for last minute ideas for the audiophile on your list or want to treat yourself to a little something SOL REPUBLIC really should be on that list. With the gift of any of these the ears of the world will be a little bit happier. Tell me what your favorite genre of music is. After you have completed the first entry, you are eligible for additional entries. Make sure you leave a separate comment for EACH entry. Each counts as one extra entry unless noted otherwise. Subscribe to Daddy Digest by reader or email. Like me on my Facebook Fan Page. 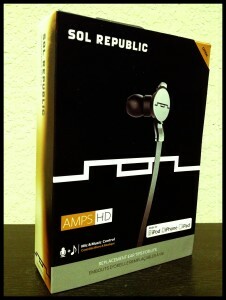 Like SOL REPUBLIC’s Fan Page. Follow Daddy Digest on Twitter AND Tweet about the giveaway. Leave the URL to the Tweet in your comment. 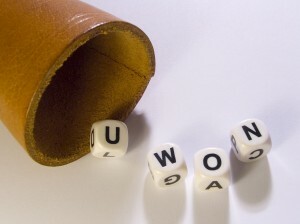 You can tweet once a day, but remember to leave the URL to each tweet. This giveaway will end on December 21st at 10:00 PM Central time. 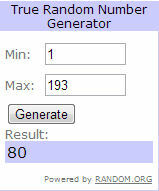 Winner will be chosen via a random number generator. Giveaway is open to US entries. The winner must contact me in 24 hours to claim their prize. Good luck to everyone! The views and opinions expressed on this blog are purely that of the blog owners. Any product claim, statistic, quote or other representation about a product or service should be verified with the manufacturer or provider. In this episode I drop some general family news and a pretty neat announcement! Here is the winner of the VSP giveaway! An email has went out to the winner and she has 24 hours to respond. Thank you to all who entered! I have seen my son rip through games like the best of them. Assassin’s Creed, Call of Duty, Diablo III he is a born gamer. I take blame for that. He has even started looking at games for story content and level of graphics. He knows what he likes and what he doesn’t. He also plays MMOs along with me, so there’s a whole different level of gaming skills required. But long before video gaming he always enjoyed building things. He would prefer the large Duplo Blocks to standard Legos, because they built bigger, faster. 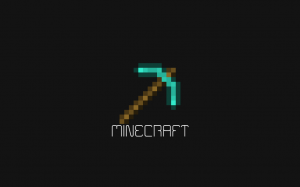 So it shouldn’t have been a surprise that he loves the game Minecraft. If you haven’t seen this game, it’s all cubes… everything. Building blocks, trees, farm animals, even your character is made up of squares and the game play is to simply create cubes to build. I myself don’t see the attraction, but he loves it. I’ve even caught him watching YouTube videos about the game, on his Kindle, while playing the game. From simple huts, to a full-blown cathedral, or to massive roller coasters, his gaming time is spent creating. The game seems easy enough to learn, I would recommend this for any child’s game library. Crystal and I just celebrated our ten year wedding anniversary together. We decided that this year we would not be exchanging gifts and thank goodness because that can be very stressful at times. We decided since most of all her travels are due to work and when I do travel I end up working the entire time and then back to the grind as soon as I get back home. Not a fun thing to do. Also, all of my other vacations have been filled with moving, house projects, saving endangered species (not really), and kid stuff. This concoction of family stuffage makes it really hard for me and the wifey to spend quality time with one another…not THAT quality time. Well…maybe it’s included in there somewhere. ANYWAAAAYs…..we had to decide where we wanted to go on a getaway/vacation/anniversary celebration and agree on it. We knew that the cold months were coming up soon and Crystal didn’t want to have to be miserable any quicker than she has to be so an Alaskan getaway was off the table. We thought about going to a far away tropical destination like Hawaii and staying somewhere like the Hanalei Bay Resort to where it has the comforts of home but she dreaded the plane ride while having a fetus along for the ride. It then donned on us that we could do the exact same thing we did on our original honeymoon…a cruise. A cruise was the logical answer for the both of us to go on. No schedules, people waiting hand and foot on you, and of course all you can eat everything! 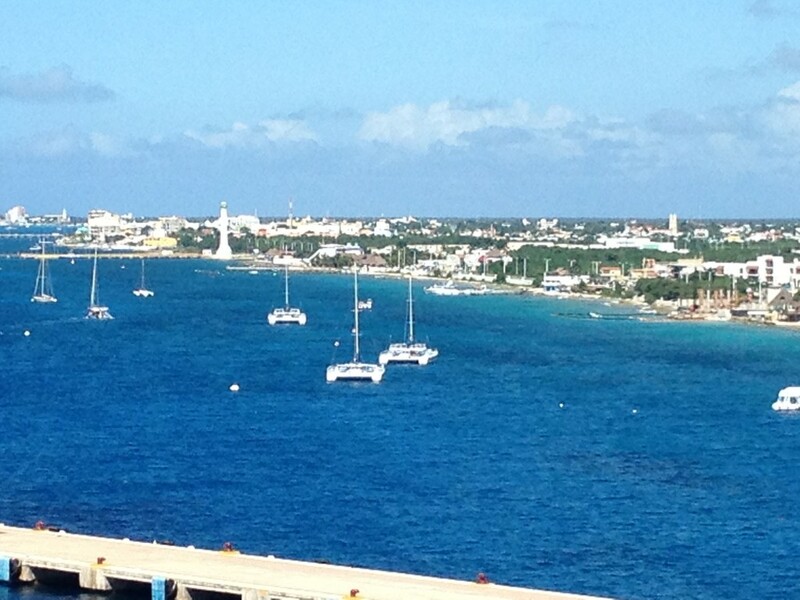 We took a Carnival cruise and sailed to Cozumel and the Yucatan Peninsula on a five day ride on the ocean. It was the best bang for our buck because it was really economical and everything was included! We relaxed on the boat the entire time! We only got off at the Yucatan for 10 minutes and then spent a few hours in Cozumel walking around the city. We couldn’t have the pregnant lady away from the buffets that long!